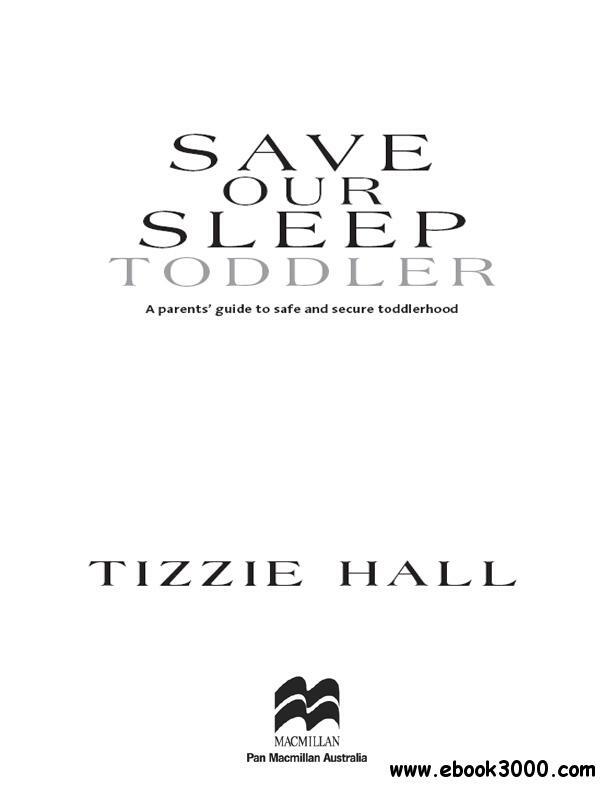 From the international baby whisperer Tizzie Hall comes this toddler's edition of the bestselling Save Our Sleep. In 14 years of operation, Tizzie Hall's Save Our Sleep organisation has assisted thousands of children of all ages to learn how to sleep through the night, every night. By sharing an insight into baby and toddler sleep patterns, Tizzie has developed a method of putting parents at ease about their child's behaviour and learn how to effectively combat childhood sleep and behavioural problems. Save Our Sleep: Toddler focuses on the wealth of new information specific to sleep and behaviour in toddlerhood. The detailed advice in this book will help you learn how to deal with the tests that inevitably accompany toddlerhood and continue to enjoy a good night's sleep. It provides specific routines for sleeping and feeding for toddlers between one and three years, as well as addressing common toddler issues such as potty training, tantrums, food and feeding, childcare, travelling, moving house, daylight savings and the transition from a cot to a bed.